© Aardman Animations LTD 2017. 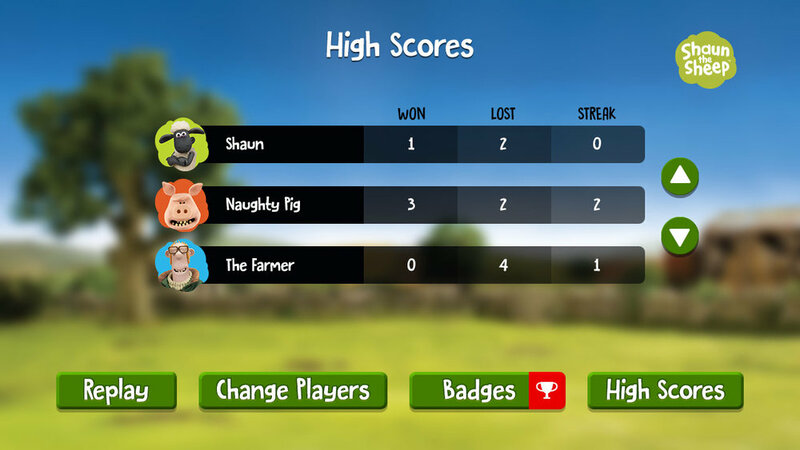 Play 4-in-a-row with Shaun and his friends on your Fire TV! Who can be the first to get 4 in a row? Play against your friend, or against the robot, to become the farmyard king. There are 7 characters to choose from, including Bitzer, The Farmer and of course Shaun himself. We’ve got a high score table to track everyone’s progress, and there are loads of achievements to reach, with great badges to collect. No-one to play with right now? No problem! We’ve got 3 different robot players to keep you company, and challenge your play. Shaun the Sheep Connect Fur is available now on Amazon Fire TV around the world.